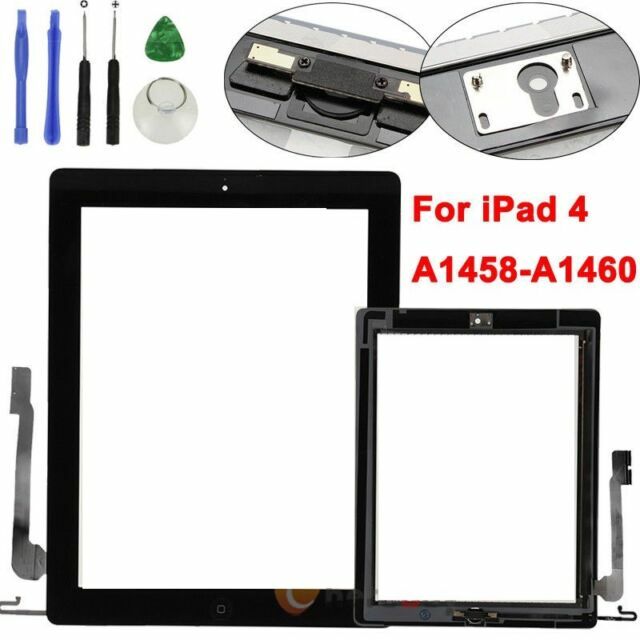 Black Digitizer Screen for ipad 4. 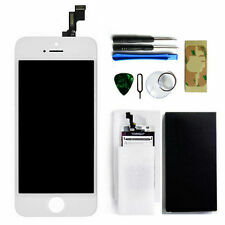 Digitizer Screen for ipad 4. Color (black). We strive to provide the best products and services. We are always here to help. Top Quality. (see picture for detail). worth the money, But ! I went on YouTube and watched several videos how to do this screen change. Then I want to eBay and found this screen kit for $15 shipped to me, so I thought I'd try it. I am a model and work with tools pretty well so what the heck. The screen replacement took about two hours and I took my time. The kii did not contain a new bezel gasket . and I ruined to my old one while taking it out. so I followed the YouTube instructions and install the glass without rubber gasket bezel. that all work fine but it left a gap around the glass edge. So I used RTV to seal the edge and wiped the excess off with alcohol. I am very happy with the results and writing this review on my iPad. I made it work first off screwdrivers are made very cheap they work for two screws then they lose shape I took a nail file and filed the tip and it work for the other screws! Now the main complaint is the home button connection strap would not go into the slot hours I tried and I tried everything so since my only problem with my old screen was a crack I removed the home button strap from my broken one attached it to the new on and bam went right in !! Now it’s like new so the screen works fine but it was a nightmare to install with these issues I wouldn’t buy again I would try another brand! I've purchased many replacement screens over the years and this is one of the better ones. Cables were all correct lengths. Adhesive was excellent. And home button wasn't loose or jiggly. Be patient and prep is everything. Make sure corners and edges are true. If it's off even the tiniest bit. You will shatter the glass. Otherwise it's great! Great product! I'm not a tech person but just watched a 10-minute YouTube video and was able to replace my cracked iPad screen myself. Longest part was just trying to get all the old cracked glass off since it obviously wasn't in one easy-to-remove piece. iPad is good as new and I saved a lot of money being able to do this repair myself.